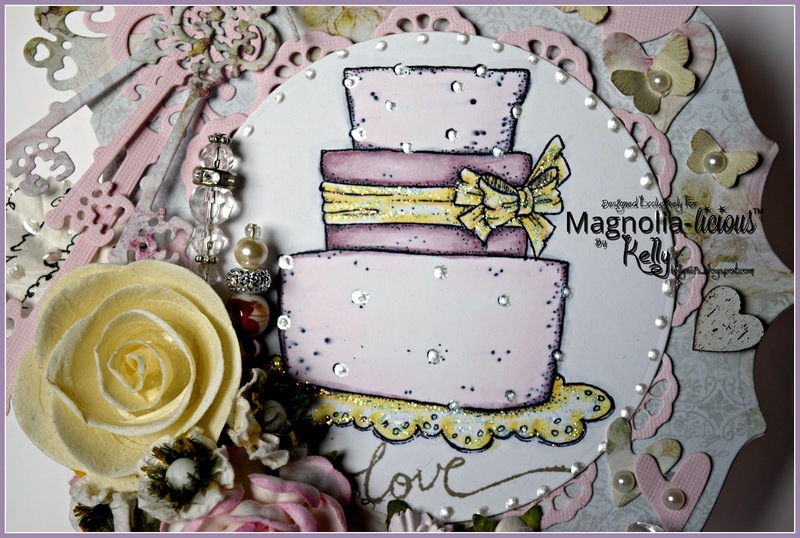 I chose to use a cake from Magnolia, I cannot recall the name or can I locate it. If anyone knows the name, thank you for helping me out. I colored it in copics and used Doohickey dies Keys and heart tags. 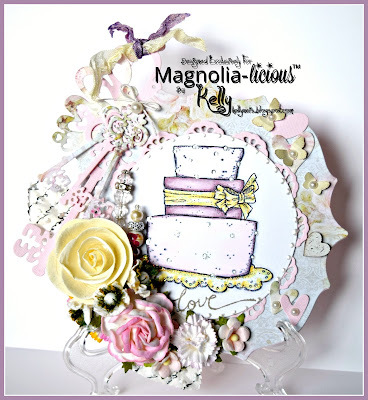 My card shape is a go-create die frame and my papers are My Wedding. 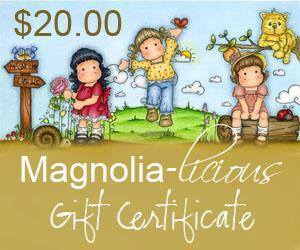 Magnolia-licious is offering a $20.00 gift certificate in a random drawing for the challenge CELEBRATION so I hope you join us and enter your Magnolia creation. 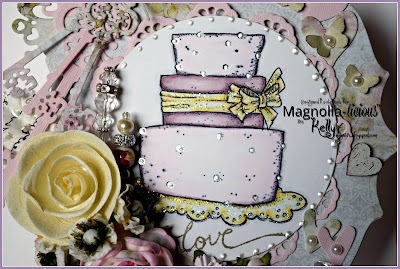 Remember to stop by my team members blogs they are very inspiring. May your day be joyful. How pretty! 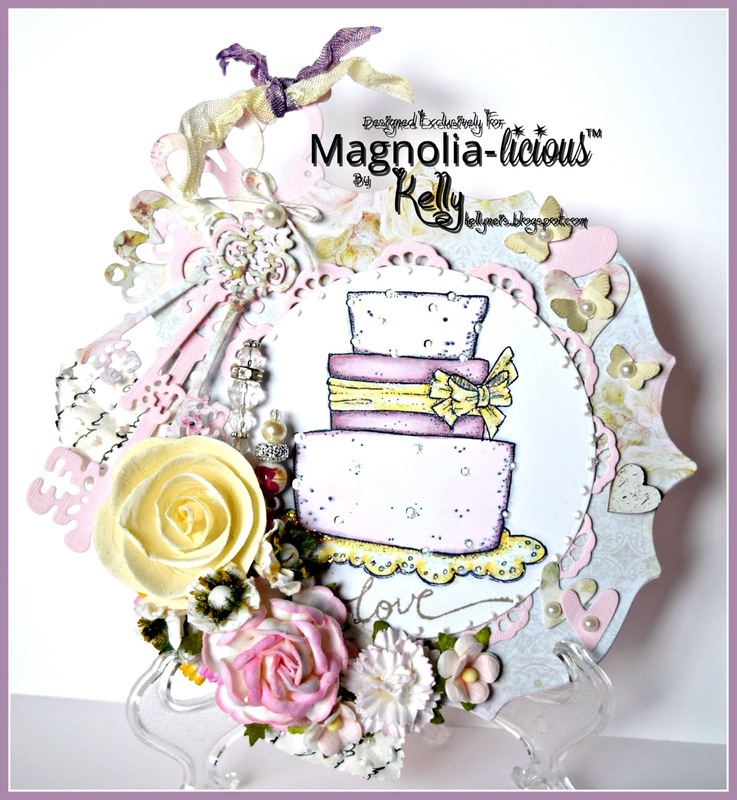 Whoever is the lucky recipient of this gorgeous card is very lucky to have such a keepsake.